Snow Blower, Snowblower, Snow Thrower, Snowthrower? Single stage, 2 stage, auger, paddle, impeller, disk drive? What does it all mean? There are many types and sizes of snowblowers on the market and for most it is a difficult task to select the best snow thrower for themselves. I want you to find the snow blower that is right for you. Not what I think is the best, BUT what is best for you. I am going to spend a few minutes and give a you a complete explanation but first here is a video of the two different types in action. The Toro single stage is one of the best “paddle” types on the market. It is what I use to compare all of the other single stage snow throwers. The Ariens is a “typical” two-stage snowblower. The 24 inch size is about what you need for a 2 car driveway 60 to 100 foot long. Did you notice how far each one threw the snow? The single stage will usually throw the snow 5 to 20 feet. The two-stage will usually blow the snow 20 to 40 feet. This all depends on how heavy the snow is of course. – Up here in Wisconsin I usually get a couple 15 to 18 inch snows and a dozen or so 2 to 8 inchers. – I have an old 24 inch, 5 hp, two-stage and my neighbor has a 21 inch, single stage. – Both of our driveways are about 16 by 60 feet. -At the end of the season my neighbor usually has mounds of snow along his driveway higher than his pickup and I usually have mounds less than waist high. Because his snow thrower won’t throw the snow as far as mine he ends up with larger piles. In fact last year we had two record snows and he had to get a skid-steer to move the piles of snow because his snow thrower wouldn’t throw the snow over the existing mounds. Now don’t get me wrong, single stage throwers may be just the right snow thrower for you. When I owned the landscaping company in northern Illinois I had single stage Toro’s in all of the plow trucks. They are light, powerful and could clean a sidewalk faster than two men with a shovel. So here are two more videos. The first one shows a single stage snowthrower moving about 4 inches of snow. The second shows an older 2-stage (like the snow blower I own) moving about 10 inches of snow. If you live south of Interstate 80 and regularly get snows in your area of less than 4 inches a single stage snow thrower may work for you. 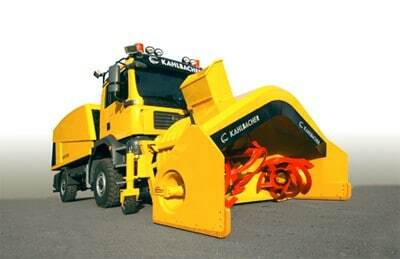 All of the single-stage snow throwers on the market are about 21 inches in width. None of them pull themselves. You have to push them like a lawnmower. Most of them will throw the snow 5 to 15 feet. If you regularly get 6 to 14 inches of snow at a time or you don’t want huge piles of snow along your driveway a two-stage snow blower is a must. These come in many sizes (power) and widths. A 24 inch, 179cc (5 hp) works adequately for a 16 X 60 foot driveway. Larger, longer driveways can use larger snow blowers. I thought I’d throw in one last video for you “Tim the Toolman” types. This one will work well at 25 MPH! I live in Queens, NY (part of NYC) and just next to the beginning of Long Island. I have an 80 foot front, a 60 foot one car driveway, 10 feet to the front door, and a 60 foot side path to the “side” door of the house from the kitchen. Plus, I have a a rental property next winter that is 2.5 blocks away. I am uncertain if I will simply require the tenants to do their own snow removal. That house has a 40 foot front, 15 feet to the front door and a 60 foot driveway. My questions are which is best for my home, but also which is more manageable to get to the second house. Here is a link to Home Depot. You can buy it through the link or at your local Toro dealer. Hi inez, Since you are clearing snow off your turf you really need to use a 2-stage snow blower. You have a decent sized area to clear and it looks like you only average about 40 inches of snow per year.